How many times we have found ourselves troubled about the proper way to manage group dynamics? We wish those gifted individuals we see in organizations that have the resources and smarts to invest in facilitation services could share their knowledge and experience in simple terms. For the benefits of my reader I’ve put together six important questions that can help managers effectively assess a group/team situation for tangible flaws— before invoking group dynamics as the culprit to a failed group exercise. Answering these questions can establish the degree to which your group functions or exhibit the conditions that lead to healthy group dynamics. They also can help pinpoint how to strengthen your efforts to increase your group’s performance. Question 1: Is this group small enough? This is a critical dimension. 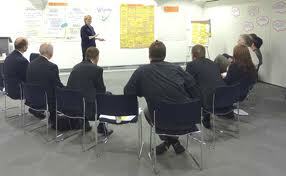 I see time and time again managers complaining about their inability to manage group dynamics in teams of 20! Obviously the smaller the number, the easier it is to manage group interactions. Consider: Can you convene easily and frequently? Can you communicate with all members easily and frequently? Are your discussions open and interactive for all members? Does each member understand the others’ roles and skills? Do you need more people to achieve your ends? Are sub-teams possible or necessary? Question 2: Is this group featuring adequate levels of complementary skills? In order to have a balanced approach and a resulting healthy group dynamic, a group or team needs to have three categories of skills either actually or potentially represented across the membership: functional/technical skills, problem-solving/decision-making abilities and interpersonal skills. It is hard for a manager when all the group members have a high level of technical expertise but none of few have the decision-making abilities to solve real-life problems. Consider: Are any skill areas that are critical to team performance missing or underrepresented? Are the members, individually and collectively, willing to spend the time to help themselves and others learn and develop skills? Can you introduce new supplemental skills as needed? Question 3: Does this group have a truly meaningful purpose? Strong purposes are necessary components to healthy group dynamics. Period. Consider: Does the group’s purpose constitute a broader, deeper aspiration—more than just a near-term goal? Is it a group purpose, as opposed to a broader organizational purpose or just one individual’s purpose (for example, yours)? Do all members understand and articulate the purpose the same way? Do members define it vigorously in discussions with outsiders? Does it contain themes that are particularly meaningful and memorable? Do members feel it is important, if not exciting? Question 4: Does this group have a specific goal or goals? The kiss of death for any group is its inability to know what its job is. In this sense managing group dynamics means to define as clearly as possible the specific goals or goal of the group. Consider: Are the goals group goals versus broader organizational goals or just one individual’s goals? Are they clear, simple and measurable? If not measurable, can their achievement be determined? Are they realistic as well as ambitious? Do they allow small wins along the way? Do they call for a concrete set of team work-products? Do all members agree with the way in which their achievement will be measured? Do all members articulate the goals in the same way? Question 5: Does this group have a clear working approach? How a group or team works together is as important as its purpose or its goal. Yet very few managers consider this when managing group dynamics or when setting up a group to work together. Consider: Is the approach concrete, clear, and really understood and agreed to by everybody? Will it result in achievement of the objectives? Does it provide for open interaction, fact-based problem solving, and results-based evaluation? Do all members articulate the approach in the same way? Are fresh input and perspectives systematically sought and added, for example, through information and analysis, new members, and senior sponsors? Question 6: Does this group or team have a sense of mutual accountability? We all trust each other. Yet the conversation about mutual accountability is a critical one to have BEFORE any accountability issue plagues your group. Consider: Are you individually and jointly accountable for the group’s purpose, goals, approach, and work-products? Can you and do you measure progress against specific goals? Do all members feel responsible for all measures? Are the members clear on what they are individually responsible for and what they are jointly responsible for? Is there a sense that “only the group can fail”? Answering those six questions candidly may reveal a harder challenge than you expected. At the same time, facing up to the answers can accelerate your progress in managing group dynamics in your team so that it brings the full potential of your people forward.